An unusual form of “whodunnit”, 2018’s The Standoff At Sparrow Creek introduces us to Gannon (James Badge Dale), a former cop. When he quit the police force, he joined a militia and largely turned into a recluse. An unknown party perpetrates a mass shooting at a police funeral. It becomes apparent that the assailant belongs to the same militia, so Gannon interrogates his compatriots to find the culprit. Given his looks, talent and laconic onscreen personality, Dale feels like an actor who should’ve achieved “leading man” status. However, he’s mustered a career in which he usually plays a supporting role, so as he nears his 41st birthday, it seems unlikely he’ll elevate to true stardom. This seems like a shame, as Dale shows such a strong cinematic presence, and he uses those skills to his advantage with Creek. 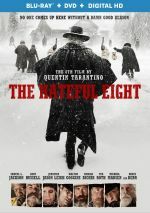 A film that focuses almost entirely on its actors, Dale comes across well. Indeed, the whole cast fares well here. The script doesn’t allow most of the characters a lot of room for exposition, but the performers do well and bring some depth to their roles. Unfortunately, they don’t get great material to work with, especially after the first act. Creek starts pretty well, and its initial half-hour or so manages reasonably strong intrigue and tension as the characters attempt to sort out the details. As the movie progresses, however, Creek loses steam. This doesn’t become a damning process, as the movie remains acceptably involving until the end. Still, the second and third acts get less and less interesting as they go. While they keep up with the film, they threaten to lose us as they diverge onto various digressions. I think Creek musters enough raw energy to merit a look. However, it winds up as a mild disappointment because it can’t live up to its early positives. The Standoff At Sparrow Creek appears in an aspect ratio of approximately 2.40:1 on this Blu-ray Disc. The movie offered largely positive visuals. Though usually solid, sharpness occasionally took a minor hit, mainly because so much of it took place in low-lit interiors. Other than some minor softness in those images, though, the film came across as pretty sharp and well-defined. No issues with jaggies or shimmering materialized, and I witnessed no edge haloes or source flaws. Creek opted for a fairly amber orientation, with some low-key teal as well. Within those constraints, the colors seemed fine. Blacks appeared dark and dense, while shadows presented nice delineation. Despite the occasional soft shot, this mainly became a pleasing image. Given the movie’s limited setting, its DTS-HD MA 5.1 soundscape became highly restrained. Dialogue dominated, and effects remained restricted most of the time, with little more than vague ambience. The climax offered a little more action, but not much. Add the fact that the flick came without a score and this became one of the more subdued mixes I’ve heard in a while. Audio quality worked fine, as speech seemed natural and concise. Though never asked to do much, effects felt accurate enough. I thought this was such a quiet track that I couldn’t give it a grade over a “C+”, but it seemed satisfactory for the material. 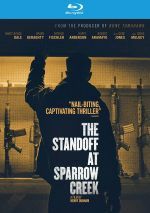 The Making of The Standoff At Sparrow Creek runs 10 minutes, 45 seconds and includes comments from writer/director Henry Dunham, and actors James Badge Dale, Robert Aramayo, Happy Anderson, Chris Mulkey, Brian Geraghty, and Gene Jones. The program looks at the film’s roots and development, story and characters, Dunham’s work on the set, cast and performances. This becomes a serviceable overview but nothing memorable. The disc opens with ads for Brawl In Cell Block 99, Bone Tomahawk and Bushwick. No trailer for Creek appears here. A mixed bag, The Standoff At Sparrow Creek introduces an intriguing concept and launches with a good first act. However, it loses its way as it goes and wind up as a inconsistent drama. The Blu-ray brings generally good picture with restrained audio and minor bonus materials. Creek merits a look but it lacks consistency.